Effective access to Justice is one of the fundamental conditions for the establishment of the rule of law in a society. ‘Justice’ and access to Justice are two different things. Sometimes ‘Justice is said to be the goal and access to Justice is the means to that goal. If the existing litigation process takes unnecessary long time and there are too much procedural hurdles to obtain Justice, these delay and procedural complexities themselves create another forum of injustice for litigants. ‘Justice delayed is justice denied’ and another maxim ‘Justice hurried is justice buried’ are frequently and deliberately used by the people of our country. In the ordinary course of law, justice is not hurried in Bangladesh but practically it is true that, with a few exceptions, justice is usually delayed and thereby often seen to be denied. From newspaper report we hear about congestion of cases in different courts of the country from time to time and know that civil cases remain pending for years. To tackle with the congestion of cases pending in different courts, it is necessary to devise new method and strategy and existing method should be updated. Judges in America with the active cooperation of the prosecution and defence lawyers and even social workers, in some cases, invented a new method of reducing congestion of civil cases in the court. Realizing the utility of the ADR method about 25 out of total 50 states of the USA gave legal recognition to the same. In our country we gave legal recognition to ADR method by amending the Code of civil procedure in 2003. An English proverb goes thus a friend in need is a friend indeed. The judiciary is such a friend for the sufferer but this organ of the government fails to fulfill such purposes for which judiciary is formed. There some reasons rooted in judiciary as impediments to dispose the civil suits properly. In “Monoharlal v. seith Hiralal” it is stated that every court is constituted for the purposes of administering justice between the parties and must possess all such powers as may be necessary to do the right and to undo the wrong in course of administration of justice. A civil suit is to be filed within the period of limitation in the lowest grade of the civil court of the local area having jurisdiction in the matter according to the valuation of the suit or in the specified court by presentation of a plaint duly stamped with the requisite amount of court fee as provided under the Court Fees Act, 1870 by the plaintiff or his engaged advocate accompanied by the copy of documents relied on by the plaintiff. The plaint is to be drawn up complying with the provisions of Order 7 of the Code of Civil Procedure 1903 and valued according to the provisions of the Suit Valuation Act, 1887.1 When the valuation of the civil suit is upto Tk. 2,00,000/- the plaint is to be presented in the court of the Assistant Judge of the local area. Where the valuation is above that amount but upto Tk. 4,00,000/- the plaint is to be presented in the court of the Senior Assistant Judge of the local area and lien the valuation of the suit is above 11.4,00,000/- the plaint is to be presented in the court of Joint District Judge of the local area. If the suit or the proceeding is contested by filing written statement or written objection then the court frames the issues or points for determination. After settlement of issues or points for determination parties are allowed some time to take steps for making the suit ready by serving interrogatories, discovery of documents, local inspection, local investigation etc. Then the suit or the case is fixed for hearing. Newly inserted sub-rules (3) to (7) of rule I of Order XVII of the Code of Civil Procedure prohibit more than six adjournments before peremptory hearing stage or any adjournment without reasonable cause at the peremptory stage at the instance of one party without payment of cost to the other party and on failure to pay such cost provided for exparte disposal of the case and prohibits rehearing of the case unless application is made on deposit of cost within 30 days. At the hearing of the suit parties adduce both oral and documentary evidence in support of their respective case or to controvert the case of the adversary. Though provisions have been ‘incorporated in the Code of Civil Procedure by amendment in 1983 for making the civil cases ready within specified time limit those provisions are complied with more in breach than in observance and unnecessary adjournments sought and liberally allowed at different stages of civil cases specially after fixation of the case for peremptory hearing delayed the disposal of civil cases increasing cost of litigation and necessitated enactment of Code of Civil Procedure (Third Amendment) Act 2003. As remarked earlier, procedure is the handmaid of justice. It is to be used so as to advance the cause of justice and not to thwart it. An es­sential requirement of justice is that it should be dispensed as quickly as possible. It is a well-known adage that “justice delayed is justice denied”. However, delay in litigation is equally proverbial and, though it may sound paradoxical, the fact remains that the very provisions of the Code which are designed to facilitate smooth and speedy trial of cases are misused and abused in order to delay cases indefinitely and ultimate success in the cause often proves illusory. The result is that cases pile up and a huge backlog accumulates in all courts. The problem of backlog and delay in litigation has been engaging the at­tention of the Law Commission for a long time and as a result of its recommendations, made from time to time, fairly extensive changes have been made in the provisions of the Code in 1976 with a view to removing the causes of delay. However, those changes seemed to have had little impact, more changes, therefore, made by the Amendment Acts of 1999 and 2002. (1) Increase in litigation.—A glance through the figures of cases filed in courts over a number of years would clearly show that litigation has been increasing phenomenally in the country. Whatever may be the causes of this increase, and it would be beyond the scope of this book to go into them, the fact remains that courts are over flooded with cases and though more and more courts are being set up, the in­crease in their number is not sufficient to keep pace with the increased number of cases. (2) There is a general feeling that the Government is not appoint­ing a sufficient number of judges to deal with the increasing work. It is a common experience that even existing vacancies in various High Courts remain unfilled for an unduly long time. Prompt appointment of judges to fill-the existing vacancies and creation of additional posts in sufficient number would go a long way to solve the problem of de­lay and arrears. (3) Much of the delay occurs because the provisions of the Code are not properly observed and followed. After filing a plaint, the process fee is not paid for a long time so that summons to the defendant is not served in time. After a defendant makes his appearance, his advocate often seeks long adjournments to file the written statement. After the pleadings are closed, there comes the stage of producing documen­tary evidence before issues are settled but nobody bothers to produce documentary evidence at this stage. Little use is made of the provi­sions for discovery and inspection of documents and for serving inter­rogatories. If these provisions are properly used, the controversy be­tween the parties can often be narrowed before the parties go to trial. However, what usually happens is that when the suit comes for trial, the advocates sit down in the court, open their briefs, probably for’the first time, and begin laboriously to prepare lists of documents, etc. All the while the poor judge sits idly on the Bench, helplessly looking on. Countless hours are wasted in this way. (4) It is a matter of common knowledge that in a large number of cas­es coming before the High Courts and the Supreme Court, the dispute is about the interpretation of the legislative enactment in question. The increase in the number of such cases is due to several reasons. There has been a vast expansion of the functions and activities of the State in all spheres with a corresponding increase in the number of laws enact­ed every year. But there is no reason why mere increase in the number of laws should by itself give rise to increase in litigation. Unfortunately, however, the laws are often hastily drafted with the result that the drafting is often loose and leaves great scope for lawyers to raise argu­ments about their interpretation. The difficulty of interpreting laws is often compounded by frequent and thoughtless amendments which, though intended to clarify the intention of the legislature, often fails to achieve the designed object and on the contrary results in greater confusion. The words of a statute are not inaugural words but words of valediction. “The problem has been tackled, long live the problem” is the message of most progressive legislations in Bangladesh. (6) The attitude of some lawyers is also to some extent responsible for delay. In many cases, where the plaintiff has obtained interim or ad interim relief, he is naturally interested in delaying the proceedings so that stay or injunction is continued as far as possible. Similarly, where the defendant has no defence, he is naturally interested in prolonging the trial with a view to put off the evil day as long as possible. It is the ingenuity of advocates in taking advantage of technicalities which helps defendants in such cases. Lawyers are also known to apply for frequent adjournments on flimsy grounds. When a particular ground, such as his sickness or personal problem, is advanced by the advocate, it is usually not possible for a judge to examine whether the ground is genuine or not and it is in the fitness of things that he should nor­mally accept as true what an advocate says. However, when this is the position, it is equally the duty of lawyers not to seek adjournments on flimsy or non-existent grounds. It is not suggested that such practices are widespread and that a majority of lawyers indulge in such tactics. But it cannot be denied that, as in every profession, there are unscru­pulous elements in the legal profession too and that they are responsi­ble for much of the delay in litigation. (7) If lawyers are able to prolong litigation by resorting to one ruse or another, the question naturally arises, why do judges allow lawyers to take advantage of procedural technicalities and prolong litigation? The answer is that judges often show themselves unable to exercise sufficient control over proceedings being conducted before them. The judges in our country have a reputation for honesty and integrity. But that is not enough. It is an unfortunate fact that, owing to a variety of circumstances, this is not the place to go into them: judges are not drawn from the most talented members of the Bar. At the beginning of the year 2001 there were 3,84,690 cases pending; during that year 1,51,724 cases were filed making a total of 5,36,414, cases, during that year 763 Justice disposed of 1,45,430 cases leaving, 3,90,984 cases pending at the end of that year. Thus rate of disposal in that year 27.11%. At the beginning of the year 2002 there were 3,90,984 cases pending; during that year 1,59,413 cases were filed making a total of 5,50,397, cases, during that year 743 Justice disposed of 1,52,699 cases leaving, 3,97,698 cases pending at the end of that year. Thus rate of disposal in that year 27.13%. At the beginning of the year 2003 there were 3,97,968 cases pending; during that year 1,44,967 cases were filed making a total of 5,42,665 cases, during that year 726 Justice disposed of 1,47,260 cases leaving, 3,95,405 cases pending at the end of that year. Thus rate of disposal in that year 27.13% . At the beginning of the year 20047 there were 3,95,405 cases pending; during that year 1,64,371 cases were filed making a total of 5,59,776, cases, during that year 707 Justice disposed of 1,50,757 cases leaving, 4,09,019 cases pending at the end of that year. Thus rate of disposal in that year 26.93%. At the beginning of the year 2005 there were 4,09,019 cases pending; during that year 1,74,689 cases were filed making a total of 5,83,708, cases, during that year 688 Justice disposed of 1,48,684 cases leaving, 4,35,024 cases pending at the end of that year. Thus rate of disposal in that year 25.47% . At the beginning of the year 2006 there were 4,35,024 cases pending; during that year 1,61,728 cases were filed making a total of 5,96,752, cases, during that year 778 Justice disposed of 1,54,833 cases leaving, 4,41,892 cases pending at the end of that year. Thus rate of disposal in that year 25.89%. At the beginning of the year 2007 there were 4,41,892 cases pending; during that year 1,71,958 cases were filed making a total of 6,13,850, cases, during that year 793 Justice disposed of 1,74,450 cases leaving, 4,39,400 cases pending at the end of that year. Thus rate of disposal in that year 27.59% . At the beginning of the year 2008 there were 4,39,400 cases pending; during that year 1,78,739 cases were filed making a total of 6,18,139, cases, during that year 775 Justice disposed of 1,41,436 cases leaving 4,76,703 cases pending at the end of that year. Thus rate of disposal in that year 25.13% . At the beginning of the year 2009 there were 4,76,703 cases pending; during that year 1,59,928 cases were filed making a total of 6,36,631, cases, during that year 803 Justice disposed of 1,89,569 cases leaving, 4,47,062 cases pending at the end of that year. Thus rate of disposal in that year 23.11% . At the beginning of the year 2010 there were 4,47,062 cases pending; during that year 1,71,725 cases were filed making a total of 6,18,787, cases, during that year 813 Justice disposed of 1,91,989 cases leaving, 4,26,798 cases pending at the end of that year. Thus rate of disposal in that year 25.58% . ‘Justice delayed is justice denied’ is a very common adage in the judicial domain. It is one of the most burning problems in the administration of justice. This system of justice is so ambiguous and miserable for the mass people that it cannot be explained in a word. There are many instances that poor people who went to court to address their grievances after selling off their lands and property to meet the expenses of the court, but did not get justice in their lifetime. At present, the only demand of mass people is the speedy approach to justice. Certainly ‘speedy approach to justice’ is gradually getting the status of an important human right which is also denied by some administrators in justice and the underprivileged people continue to be dominated by them. This day, the judiciary organ is an independent organ in our country from the executive. So, it is high time to adopt effective steps to dispense our justice as early as possible. How much pain the delay process of justice involves need not be explained. This picture of justice is very much dreadful for our poor citizens. It is generally seen that a case is still hanging in court, which began more than one decade ago. There are many victims who don’t easily think of going to court seeking justice because they know it will take years to prove a clearly visible wrongdoer is the actual criminal. Moreover, the impact of this unusual delay in disposal of cases falls on the victims. Due to delay in litigation, people become annoyed to obtain proper justice at any stage and also develop a negative outlook in their mind about the total judiciary schemes including judges, lawyers, associates and the administration of justice etc. The process of delay in litigation is equally known to all and nevertheless it may sound inconsistent with due process of law. The fact remains that the very cases are misused and abused in order to delay cases for an indefinite period and ultimate success in the cause often proves false. Now, law is an effective weapon in the hands of the state to mitigate the social needs by ensuring proper justice in time. Such effort of law is liable if justice fails to mitigate the misery of the mass people due to delay in litigation only and the faith in justice can never be instilled in the mass people if the state doesn’t ensure the speedy process of justice. In the field of justice, delay in litigation is traditionally practiced in our country as like at the same time as denying due process of law. The result is that cases are piled up in all the courts hugely day by day. Basically, the delay in litigation is incredibly practiced in civil courts. Our civil courts are governed by the Civil Procedure Code 1908 which was enacted during the British reign. But, after the independence, the government of Bangladesh had taken an attempt to accelerate the civil procedure system. The problem of delay in litigation including arrears of cases has been engaging the attention of the Law Commission for a long time and as a result of its recommendations made from time to time, reasonably wide changes have been made in the provisions of the Code in 1983 by making an Ordinance with a view to removing the causes of delay. Before such amendment Ordinance, there was no limitation to submit the court-fees and other relevant documents. But, by this Ordinance, the parties to a suit have to submit the proper court-fees with all relevant documents within 21 days after issue of summons and the plaintiffs have to submit all documents at the time of institution of the suit to focus on the cause of action. On the other hand, there was no specific time for examination of the defendants/witnesses and in framing of issues before such amendment. But, after promulgation of the Ordinance, no time is be allowed for examination of the defendants/witnesses after 2(two) months and the court is bound to frame the issues within 15 days after examination of the defendants/witness. However, by the blessing of this Ordinance, the court is also bound to give the judgment of a case within 127 days from the framing of issues. While 120 days is fixed for hearing and after hearing, rest 7 days is fixed for giving the judgment. But, these changes seem to have had little impact. * Lack of good lawyers. The attitude of some of the lawyers is also to some extent responsible for delay. * Insufficient number of judges. * Lack of proper observation of the provisions of the Codes. * A large number of cases that come before the Supreme Court cannot be concluded hastily due to interpretation of legislative enactment in question. * Delay in proper investigation or inquiry in a litigation. * Variety of laws on a particular issue. * Inadequate office equipment and machinery. * Unreasonable absence of witnesses. * Cumbersome execution procedure of decrees in civil cases. * Lack of utilization of modern technology in keeping records and documents. * The atmosphere of justice must be corruption free. * Adequate number of judges should be ensured. * Justice administration system should be easy and not much expensive. Although the Constitution guaranteed equal rights for all citizens in getting justice, in practice a vast majority of the people, who are economically weak, do not enjoy this right. Even, the poor and disadvantaged groups in the rural areas cannot think of moving to higher courts to seek justice and get remedy for violation of their rights because of expensive higher judiciary. * Justice should not become the hostage of a class. * In preserving various records of the courts modern technology should be widely used. * Multiplicity of laws on a particular issue should be evaded. * It also seen that the lawyers may not be ready to argue the case and hence regularly submit ‘time petitions’. So, frequent taking of time by the lawyers must be stopped. In Bangladesh constitution, there is a provision for getting speedy trial of every accused person of criminal offence as per Article 35(3). Besides, as per Article 22 of this constitution the judiciary is separated from executive organ, which has already been executed from 1st Nov, 2007. Now, our expectation is much more from the judiciary than before. So, we are looking forward to see that the judiciary organ is how far responsible to accelerate our prior procedure in litigation to remove the misery of the inhabitants of Bangladesh. A Committee of three Supreme Court Judges of whom two were former District Judges in 1989 after analysing the causes of delay in disposal of civil cases and gradual decrease of efficiency of the judges of the subordinate judiciary identified 9 stages of civil suits, 5 stages of the miscellaneous cases and 5 stages of the civil appeals and found that in some stages delay is due to the lack of supervision of the works of the ministerial staff by the presiding judges and in the remaining stages due to the lack of commitment of the judges to their duty. In the report the Committee observed: “The Committee much to its regret and dismay has not come across one record or one diary in course of its random inspection of the courts where there has been an- honest endeavor by any judge to comply with the time limits provided in the various Rules and Orders. Rather the Committee found unnecessary and unreasonable delay in almost all the above stages of civil suits in the courts visited by it. However, this is not to say that the courts have not had enough ready cases to be taken up for hearing. The Committee noticed that diaries almost everywhere, with sufficient cases set down for peremptory hearing every clay but then the cases have remained pending for months and years, although for days together there has been practically no work done”. N The Committee further observed: “Lack of commitment and dedication on the part of the judges is noticeable in the day to day work is reflected in the diaries and records of the courts. Building, some exception at the senior level, it has been found to be the uniform practice in all subordinate courts of the country that not more than two hours judicial work is done each day in any court. Granting of liberal adjournments leaving no work to be done appears to be the main pre-occupation of the court. They say that they feel helpless to refuse lawyers’ prayers. They sign their orders written by their Bench Assistants without caring lie position of the case. Given the best of laws, the quality of justice and outturn as well can never be better than the quality of persons who administer it. The Committee noticed that there has been generally a serious erosion in the quality of the judicial officers barring a few exceptions. The author inspected two district courts it) 1997 and found to his dismay that almost all the presiding officers have been sitting in their courts not more than 2/3 hours a day and allowing adjournments very liberally on flimsy grounds and transacting very little judicial work. Diaries of those judges showed that on each working day each judge either recorded evidence of one witness or delivered one judgment or one order. After consultation of relevant record of the cases it was found that on many days evidence of the witness recorded by an individual judge did not fully cover even a single page. Inspection reports submitted by other Judges of the High Court Division after inspection of the subordinate courts in the recent past do not give any picture of significant improvement in the work of the judges of most of the subordinate courts. Even in the District Court situated in the Dhaka city, conditions did not improve before 1999 when the incumbent District Judge activated other judge, of that court to give up the habit of not sitting in courts during the court hours. Though District Judges are required to constantly supervise and monitor the works of the judges subordinate to and working under them lack of such supervision and monitoring by the District Judges in many, districts were the causes of delay, amongst other causes, noticed above, in the disposal of cases in those courts. To remove the delay in disposal of the cases it was necessary to ensure strict Supervision at all stages of the cases by the judges of the works of the ministerial staff and works of the subordinate courts by the District Judges concerned and ultimately on all the subordinate courts by the High Court Division and to promptly report delinquencies and to take action for punishing the delinquents and rewarding the few ardent ministerial staff and judges. Due to constant criticism by the news media about the 0 sluggish activities of the subordinate judiciary and increase of supervision and monitoring started showing improvement in the disposal of cases very recently in the subordinate civil courts though the same is not yet remarkable. From 1999 to 2005 as noticed earlier efficiency of judges is gradually increasing. “Truism that the quality of justice depends more on the quality of persons who administer the law than on the content of the law they administer. If disputes are to be settled by efficient judges highly qualified, experienced and independent minded persons are to be appointed for the purpose and they are to be allowed judicial independence free from the harmful influence of the executive authority or any other power. Moreover for attracting highly qualified persons to the judicial office and to keep them free from any harmful influence they are to be paid suitable salary, allowances and privileges. When these are ensured then there will be no chance of any one to be deprived of proper and effective justice. Failure to maintain properly law and order in the country, inability to quickly punish the offenders and absence of speedy and proper remedy for the injury and loss caused to any person by another violating his legal rights give rise to social unrest as well as hamper economic development by discouraging local and foreign investors to invest their money in trade, commerce and industries. There is no two opinions about speedy trial arid punishment of offenders and granting relief to the person aggrieved person for the injury and loss sustained by him. For the aggrieved e son court is the last resort for getting speedy and proper relief. For making the administration of justice effective and fruitful as honest, efficient and diligent judges are required so also efficient, dutiful and responsible lawyers are necessary. Without efficient judges and lawyers no system of administration of justice can be fruitful. How far our administration of justice has been successful in doing speedy trial of offenders and punishing them and delivering speedy and effective relief to the aggrieved persons adversely affected by violation of their rights and if not what are the causes for the, same are required to be discussed and identified and to find our how to remain we those obstacles. One of our weaknesses is that we do not fact any problem by examining the Same with objective facts all figures for solving u1c same. On the other hand persons connected and involved with such problems blame each other without attempting to solve the same. When there is a problem real cause for the same is to be found out after making proper enquiry and then to take steps for solving the same. Our present system of administering justice is structurally comparable with the system of administration of justice prevalent in any developed country. In spite of the same it is to be seen why complaints are being often made that our people are not getting proper and effective justice from our courts speedily. If the judges blame the lawyers and the lawyers blame the judges or other staff of the court the problem will not be solved. To solve such problem it is necessary to solve the difficulties and problems of the lawyers as well of the judges and staff of the court. Availability of efficient and dutiful lawyers, judges and staff of the courts in the country may ensure delivery of proper relief to the aggrieved persons speedily through the present system of administration of justice. Ø Appointment, promotion & Discipline of the judges of subordinate courts. Ø Awarding Adjournment cost, actual and compensatory cost in civil cases. There are so much reasons behind it. Such as, delay to serve summon, delay to appear in suit, prayer for time by the Parties, prayer for interlucatory petition by the parties, delay to appear witness, death for any partry, because of huge number of cases in the court & some other reason. Solution – If you ensure to solve those very problem. The judiciary can mould principles of law to give them a sense of coherence and direction. The degree of radicalism of the judiciary is limited both by the system of appointment by the ruling government, and by the desire of judges to reflect the values of their particular jurisdiction. They are more willing than other body of the government to take unpopular decisions beneficial in the long run. There can be no discussion until and unless we touch the political impact in this regard. Political unrest & political bias has increase the burden of suits in a large scale .In very primitive people settled their disputes among themselves by the head or leader of their group Sometime there shall be fair justices or might be injustice in somewhat with the change of time the people came out from the old custom and they gradually the came to the premises of the democracy. Effects of such delay: if the civil cases are not expeditiously disposed of it has a disastrous effect on the society. Sloth and tardiness in disposal of the civil cases =breed criminal propensity. Those who wait for years together for the result of their cases in civil courts ultimately take to violence giving to rise to criminal cases. Some principle of judiciary is mould now. It should be removed. Problems of administration of justice in Bangladesh discussed above specially problems of increasing number of backlog and delay in disposal of cases are not the problems of our judiciary alone but are common to administration of justice in many other countries of the world. For solving the problems of the judiciary in many countries law commission, committee etc. are regularly constituted for examining the suggestions of the judges, lawyers, jurists, research bodies etc. for reformation of the administration of justice and on the basis of the considered recommendations of such commission or committee necessary steps are taken and legislation is made for solving the problems of the judiciary. 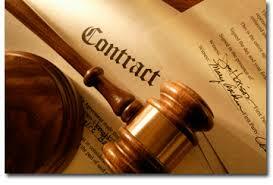 Management and assistance of efficient and dutiful lawyers. So to make the administration of justice in Bangladesh more effective and fruitful judiciary should be completely separated from the executive branch of the Government; subordinate Judiciary should be brought under complete control of the Supreme Court; standard of legal education should be raised for creating efficient lawyers and judges; salary, allowances and privileges of the judges should be increased to attract competent persons in the service to be recruited through a Judicial Service Commission and training should be given to the newly recruited as well as existing judges to increase their efficiency in case management and disposal. So far as dispensation of justice is concerned the backlog of cases, as ever, comes to the forefront for discussion. It is not only a great problem in our country but also a global menace. There have been many researches and deliberations all over the world; our country is excepted, as to how to lessen the number of cases how to dispose of them in a quickest possible way. In absence of the strong, impartial, independent, quick and dynamic judicial system neither the democracy nor development can flourish and sustain. Keeping all these in mind, law makers mandated speedy and fair trial in Article 35(3) of the constitution of the peoples’ Republic of Bangladesh. With the insertion of this provision in our Constitution it has become a citizens’ constitutional right to get speedy trial. In spite of this constitutional guarantee, speedy trial, however, remains a far cry for the citizens of Bangladesh due to some practical problems which cause inordinate delay in disposal of cases. Kazi Ebadul Hoque, Administration of Justice in Bangladesh, 2006, Asiatic Society of Bangladesh. L.K Takwani, Civil Procedure, 2010, Eastern book company. Mahmudul Islam, Code of Civil Procedure, 2006, Shahidul Hasan Mullick. Abdul Halim, ADR in Bangladesh, Issues and challenges, 2011, CCB Foundation. Kamal, Justice Mustafa, Bangladesh Constitution, Trends and Issues (Dhaka, 1994). Bangladesh Law Chronicle, (BLC), a monthly Law Journal Published from Dhaka. Bangladesh Legal Decisions (BLD), a Law Journal Published from Dhaka.